We are pleased to inform you that a public workshop will be organized by CSGI, the project coordinator, as a conclusive event for the NANOFORART project. The workshop will be directed to scientists, conservators and restorers and will report on the findings and the products developd during the 3 years of the project. The event will take place on the 28th of November 2014 in the Auditorium Santa Margherita, University Ca' Foscari, Dorsoduro 3689, in Venice (Italy). The participation to the workshop will be free of charge and all the talks will be given in english. To ask for more information, please do not hesitate to write us. Here you can download the flyer of the workshop, where you can find the detailed programme of the event. 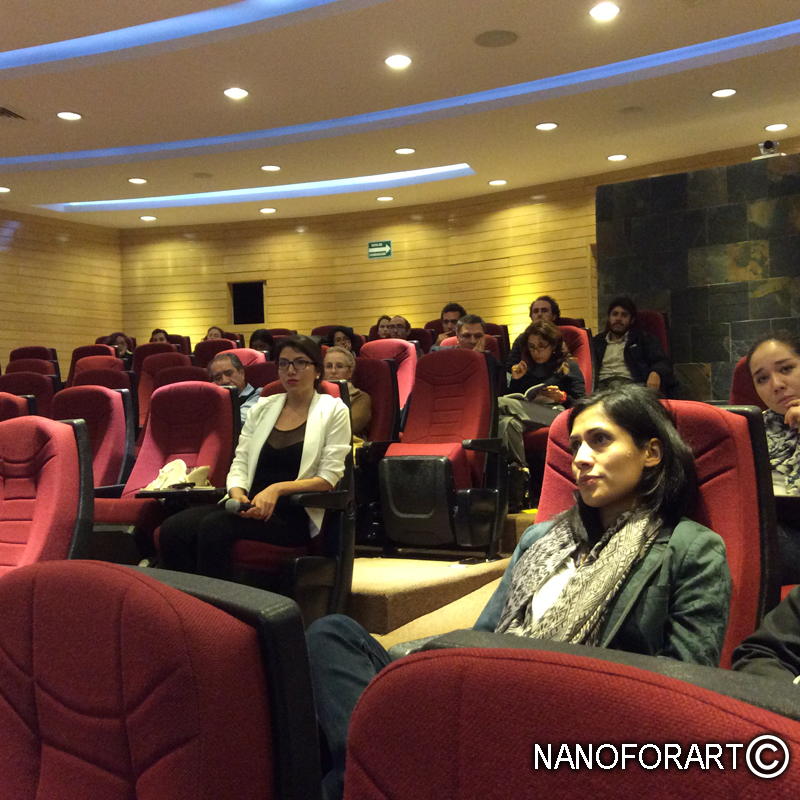 The NANOFORART Conferences, held in Mexico City on 20-24 October 2014, were an important opportunity of dissemination in the framework of the Project. The topics were focused on movable artworks, and in particular Dr. Rodorico Giorgi, Dr. David Chelazzi, Dr. Michele Baglioni (CSGI), Dr. Laurent Bozec (UCL) and Dr. Jana Koalr (MRTD) reported on the work carried out on canvas, paper and parchement, talking about cleaning, strenghtening and pH control of these materials. The conferences were held at the physics department of UNAM (Universidad Nacional Autonoma del Mexico), at the CNCPC (Coordinaciòn Nacional de Conservaciòn del Patrimonio Cultural) and at the ENCRYM (Escuela Nacional de Restauración, Conservación y Museografía) and they were thought for scientists, conservators and conservation students. The conferences were organized by the Museo Nacionàl de Antropolgia y Historia (MNAH), partner of the NANOFORART project, and in particular by Dr Laura Filloy. (*) There's no kinship with the Project's coordinator, Piero Baglioni. NANOFORART Conferences in Mexico City - IMPORTANT UPDATE! Due to some logistic problems, the ROUND TABLE with Dr. Jana Kolar, which was scheduled for the afternoon of Thursday, 23th October 2014, has been CANCELED. The conference "La Nanotecnologia aplicada a la conservacion de documentos de papel y pergamino. El proyecto NANOFORART" programmed for the same morning, on the other hand, will take place regularly. Next week several conferences about NANOFORART project will be held in Mexico City. The conferences are organized by the MNA, with the contribution of the Instituto de Fisica de la UNAM and the Laboratorio National de para la Investigacion y la Conservacion del Patrimonio Cultural (LANCIC). Scientists and conservators involved in the project will illustrated the results obtained during the three years of NANOFORART project, which will end next month. Nanotecnologia aplicada a la conservacion de los Bienes Culturales - 20th October 2014 - Insituto de Fisica de la UNAM, auditorio Alejandra Jaidar, Biblioteca. La Nanotecnologia aplicada a la limpieza y control de pH en pintura de caballete, el papel y el pergamino - 21th October 2014 - CNCPC, auditorio "Paul Coremans". El Proyecto Nanoforart: Nanomateriales para la conservacion de Bienes Culturales Muebles. Avances y perspectivas - 22th October 2014 - ENCRyM, Sala de Consejos. La Nanotecnologia aplicada a la conservacion de documentos de papel y pergamino. 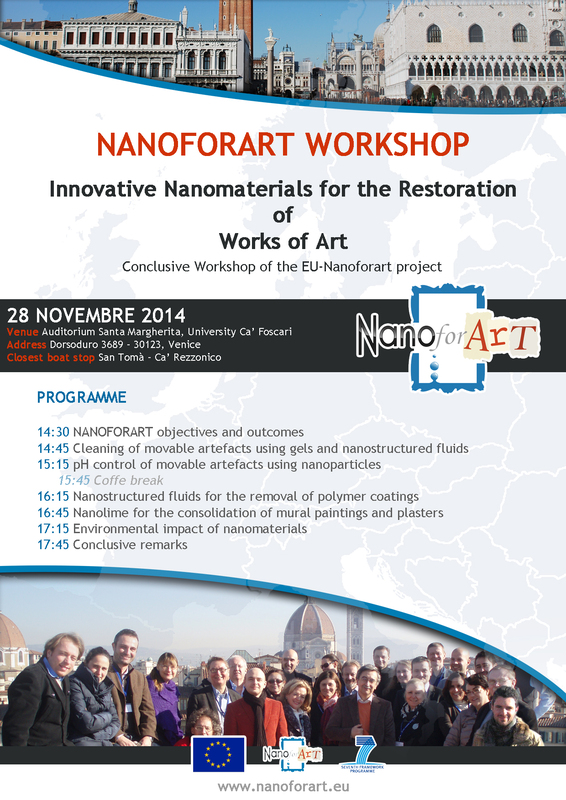 El proyecto NANOFORART - 23th October 2014 - CNCPC, auditorio "Paul Coremans". Las tintas ferrogalicas: identificacion, degradacion y estabilizacion. Nuevos resultados - 23th October 2014 - ENCRyM, Sala de Consejos. Los documentos nos cuentan su historia. Tecnicas de analisis no invasivas para la caracterizacion de materiales - 24th October 2014 - CNCPC, auditorio "Paul Coremans". Please note that all the conferences will be held in english. The NANOFORART Workshop, held in Brede last June 12, has provided a fundamental opportunity for information transfer of knowledge and expertise to end-users. The workshop dealt with the consolidation of wall paintings with nanolimes and the removal of degraded polymeric consolidants from wall paintings with the aid of nanofluids and hydrogels. 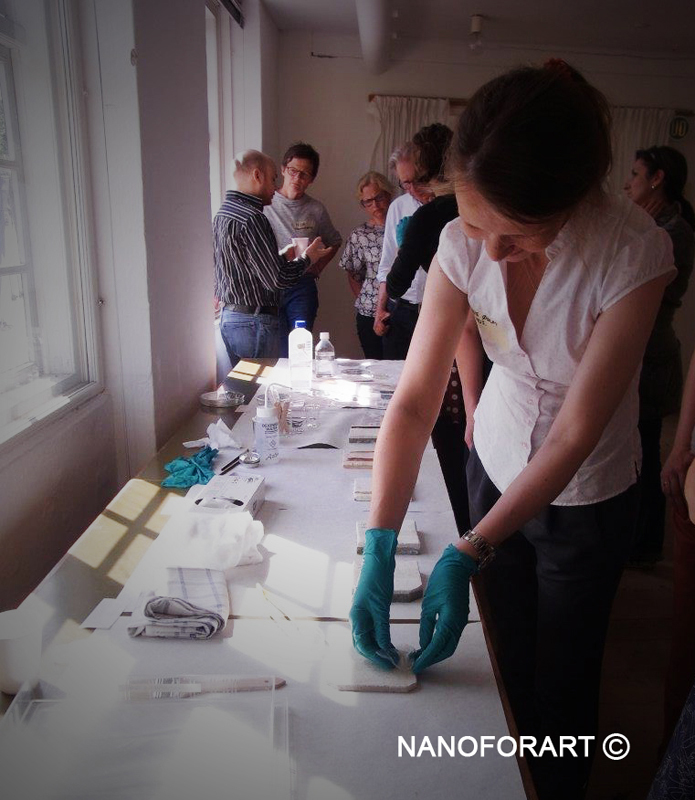 The Workshop has been organized by the National Museum of Denmark, partner of the NANOFORART project involved in testing system developed for conserving wall paintings.